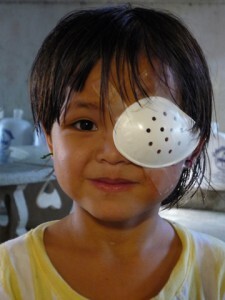 Karen Refugee Camps Women’s Development Group (KRCWDG) is the UK partner of the Mae Tao Clinic. If you would like to make a donation to Burma Children Medical Fund, please contact KRCWDG. Put “BCMF Donations” in the subject line of the email, and if you choose to specify the donation for specific use please note the purpose of your donation. (ie. Sponsor a Van). Karen Refugee Camps Women’s Development Group is a non-profit organization (Charity Index no. SC033290). All donations are tax-deductible and KRCWDG’s Inland Revenue reference number is CR54189. 100% of your donation will be used for direct relief costs, and 0% for administrative overhead. Once you have made a donation, please send an email to [email protected] confirming your donation (please include your name, amount donated, date donation was made and the purpose of the donation if you would like it to go towards one of our programs like the Sponsor a Van program).